The railroad played an important role in the development of the United States. It started with wheels and rails, and really took off with the use of the power of steam. In less than sixty years, railroads evolved from horse-drawn carts on wooden rails to steam-driven locomotives pulling millions of tons of cargo and passengers on steel rails, over bridges and through tunnels, across plains, rivers, in the highest mountains and deepest valleys. There were burning umbrellas, surveyors taking measurements while dangling by ropes from mountain tops, brakemen riding on top of cars in snow and sleet, and bouncing passenger cars lit by candles. The railroad changed lives in early America. Learn about our fascinating history through stories and illustrations. In Travel by Water, we learn about boats used by Native Americans in daily life, for transportation, hunting and fishing. And about navigation and ships, bringing explorers. Over time, modes of travel and needs changed. This book explores the history of travel and waterways, immigration and war, places and trade. Traveling over water changed lives in early America. Learn about our fascinating history through stories and illustrations. Historical notes describe a day in the life of an Amish family and the traditions and religious beliefs which continue to be passed from one generation to the next. 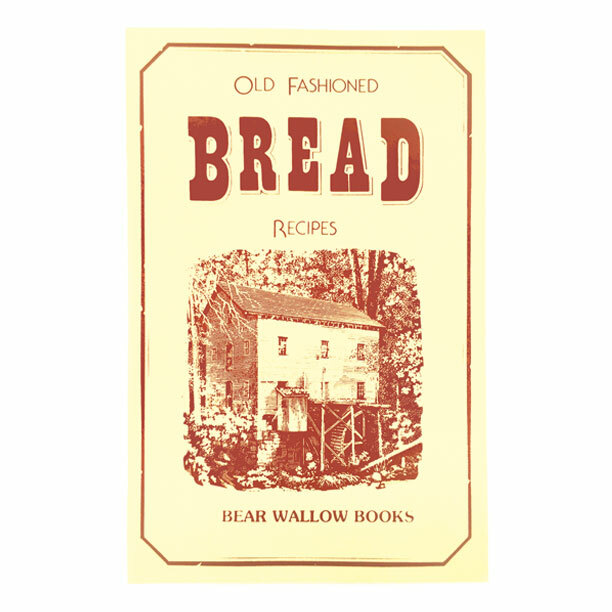 Although Amish cooks use old-fashioned cooking methods, this book contains 64 recipes for bread, cakes, cookies, main dishes, soups, salads, candies and desserts which can be prepared using modern cooking equipment. Historical notes describe how our ancestors used apples, for food, drink, preservatives and medicines, and pass along tips for using apples which were well known to prior generations. An Apple Guide matches apple varieties with recommended uses. The book contains 73 recipes for apple pies, breads, casseroles, side dishes, salads, soups, cakes, cookies, desserts and explains methods of drying apples. Choose from 74 delicious old-fashioned recipes for raspberries, blackberries, blueberries and cranberries, as well as sweet and sour cherries. Historical notes describe trips to the berry patch and ways in which berries and cherries were preserved and prepared in early America, to be enjoyed throughout the year. Today we recognize the health benefits as well as the wonderful taste. Historical notes describe life as it was in the past, when mills dotted the landscape, built on rivers and streams to serve the villages, farms and growing cities. The book’s 56 recipes were collected from many parts of North America, with some having their origins in the old world. They include yeast breads, quick breads and traditional favorites, such as corn pone, hush puppies and elephant ears. Desserts from 18th and 19th century America are described. Tips on "Bread Pudding Do's and Don'ts" will ensure delicious results. A restaurant which started as a general store in 1868 shares its favorite bread putting recipe. In addition to bread puddings, the 50 recipes include buckle, cobbler, crisp, grunt, pandowdy, slump and sauces. Cakes have been on the menu since early times. 19th century innovations made cake-baking easier, but not as easy as it is now. This book contains 71 wonderful recipes for old favorites, including frostings and chocolate, white and yellow cakes, spicy, fruit and nut cakes, angel, sponge and chiffon cakes, pound cakes and spectacular, but easy-to-make cheesecakes. Historical notes trace candies back to several eras in history, from Europe, through the early settlers learning about maple sugar from native tribes, the American revolution and the Civil War. There are candy-making tips and instructions for dipping chocolates, as well as 67 recipes for many kinds of hard and soft candies which are beaten, pulled, word, or dipped, as well as fruit and nut confections. Every chance to gather with friends was celebrated in early America. This new book contains 48 recipes and fascinating traditions from early American celebrations of New Year's, Valentines Day, Easter, Weddings, Funerals, July 4, Work Frolics (cornhuskings, etc. ), Camp Meetings, Halloween, Thanksgiving and Christmas. A list of cheeses, their characteristics and countries of origin set the stage for 70 great recipes for appetizers, soups, salads & dressings, breads, main & side dishes and desserts. 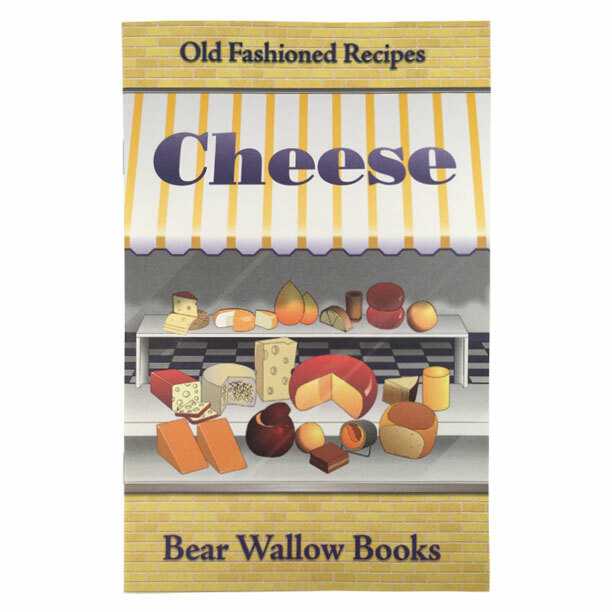 This book includes a short version of a long history of this most versatile of foods, and recipes using readily available cheeses for old favorites and unusual, delicious dishes. An Aztec ruler drank 50 cups of chocolate a day! In early America, chocolate was known to build up resistance and fight fatigue, as well as to help digestion. Those are good reasons to try the 49 wonderful old recipes for beverages, cakes, cookies, pies, puddings, ice cream and candies - if you need reasons, that is. Historical notes describe Christmas preparations in times past, when breads were baked for family meals and as gifts for friends and neighbors, Grandma’s cookie jar was filled and Christmas puddings were prepared. Many of the 70 recipes were brought from other parts of the world, including Europe and Asia, and transported by Clipper Ship and covered wagon. Historical notes take us back to the days when the general store was a gathering place to meet people, pick up the mail, warm your hands by the pot-bellied stove, and of course, to buy food, fabric, hard candy and other necessities. The book contains 65 recipes, including country breakfasts, breads & biscuits, desserts, sweets, beverages, soups, main dishes, pickles & preserves. From farming in the colonies, through the westward movement, to the 1930s, when electricity reach the farm, the history is fascinating! The 71 recipes come from rural areas throughout the U.S. and include such favorites as Chicken and Corn Soup, Chicken Fricassee, Oatmeal Bread, Country Baked Beans and Ice Box Cookies. Recipes for freshwater fish, saltwater fish, shellfish. Historical Vignettes set on East, West & Gulf coasts, Mississippi River and Great Lakes, with reference to inland rivers, streams and lakes. 82 recipes - baked, grilled, fried, poached, casseroles, soups and chowders. Many favorite family recipes originated when Great Grandma relied on the garden or root cellar to plan the next meal. Others came from far-away lands with our immigrant ancestors. 71 treasured recipes, passed down from one generation to the next, include soups, salads, meats, vegetables, breads and desserts. Amusing and informative notes provide eyewitness accounts of mealtimes. Kitchen utensils of the period are pictured. Recipes include appetizers and condiments, meats, soups, vegetable & side dishes, desserts and breads & biscuits. Many of the 50 authentic early 19th-century recipes are adapted for modern cooking. Historical notes tell us that pioneers used herbs as deodorizers, insect repellents, perfumes, cosmetics, medicines and dyes. A Usage Chart shows how herbs are used as culinary seasonings and the book contains tips on storing and using herbs - and on repelling insects. 77 recipes include main and side dishes, soups, breads, salads, dressings, desserts and herb vinegars. Historical notes reveal that honey was used in Ancient Greece, but maple syrup and sorghum are discussed in the context of American history. There is a section of recipes for each sweetener and storage methods are described. 80 recipes include yeast and quick breads, salads, vegetables, main dishes, glazes, sauces, desserts and candies. Historical notes trace ice creams from early civilizations - the Chinese, Greeks and Romans - through Victorian times, to the good old American Ice Cream Social. 85 recipes include many flavors of churned ice creams, ices & sherbets, ice cream pies, parfaits, bombes, mousses and other specialty ice cream treats, as well as butterscotch, strawberry, fudge sauce and other toppings. President Thomas Jefferson's hopes were fulfilled when Lewis and Clark returned home with plants, seeds and information about the west. This new book tells of their adventure and the foods they eat and brought back to share with a growing population, many of which we enjoy today. Some of the 46 recipes may be too rustic for modern tastes, but the story is fascinating. Historical notes touch on early American history and the days when anyone setting out on a journey took along a sack of cornmeal for sustenance. In addition to muffins, the book’s 69 recipes also include biscuits, Johnny cakes, popovers, spoon bread, fritters and more. The origin of Sally Lunn bread is described and notes on preparing perfect popovers are included. Benjamin Franklin and Thomas Jefferson admired French mushroom cookery and American settlers found many varieties of wild mushrooms which continue to be popular. Today cultivated varieties also are readily available. 75 wonderful mushroom recipes include appetizers, soups, sauces, salads, breads, main and side dishes. North America was once a land of many native cultures, languages and traditions. It is estimated that more than half of the foods known today originated on the North American continent and fed Native Americans. 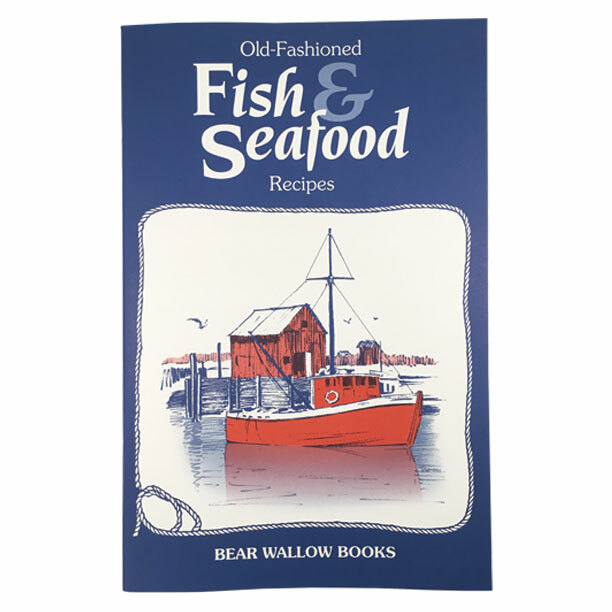 The book contains 51 recipes and descriptions of traditional methods for preparing breads, soups & stews, meats, vegetables salmon, desserts and special treats. Historical notes describe the characteristics of the states which comprise New England, the people who settled there and the origins of the many traditional recipes, including Anadama Bread, Boston Baked Beans, Hasty Pudding and Muster Day Gingerbread. The book’s 72 recipes include breads & breakfasts, suppers & side dishes, soups & salads and desserts & sweets. Columbus introduced oranges to the western hemisphere in 1493, and they have been popular ever since! Citrus fruits now grow in several states and are available year-round. This collection of 74 recipes makes delicious use of them in beverages, breads, breakfast and brunch dishes, desserts, main dishes, salads, dressings and marmalades. Pie has been on the menu for centuries, both savory and sweet. But of many of the 79 recipes have historic origins, including pies from early America and Europe. There are pies made of fruit, nuts, meat and vegetables, as well as sweet feelings, like Pennsylvania Dutch Shoofly Pie. Pie crust recipes also are included. Notes cover Secrets of Perfect Pie Crust and Meringue Hints. Historical notes describe methods of cooking during pioneer times, as well as living conditions and the importance of native foods. Pioneers made use of greens in the spring, fresh and preserved fruits, vegetables and meats according to the season. 69 recipes include breads & biscuits, salads & salad greens, wild game & meats, preserves & pickles, desserts and sweets. Historical night notes describe how pumpkins have fed many generations of Americans in the past and tell how to prepare fresh pumpkin pulp. Several recipes for pumpkin pies are included in the 61 recipes, as well as breads, cookies & cakes, puddings, ice cream and other treats, roasted pumpkin seeds and pumpkin preserves. Party treats include taffy apples & spiced cider. Historical notes tell us that twenty-one shaker communities were established from 1774 through Civil War times, from Maine to Georgia and as far west as Ohio and Kentucky. Shaker cooks were skilled in the use of herbs and passed along a creative collection of 62 recipes which include breads, breakfasts, desserts, meat & vegetable dishes, soups, salads, preserves and candies. 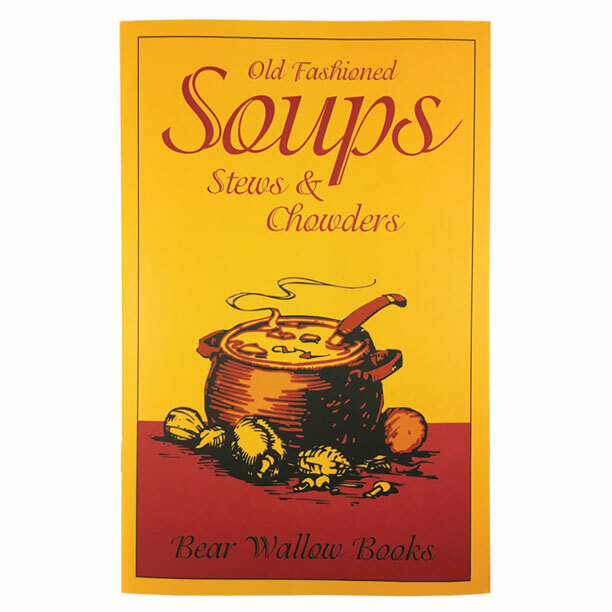 Historical notes start with a description of Old-Fashioned "Kettle Foods" and continue throughout the book, describing recipes from various cultures - Amish, Shaker, American south and west, New England, Russia, etc. Instructions on making vegetable, chicken, beef and fish stock are included, among the 58 recipes for soups, stews and chowders. Historical notes scattered through the book describe the origins of Beaten Biscuits, Hoppin’ John, Kentucky Burgoo and Bruns-wick Stew, as well as other traditional southern dishes. 56 recipes include breads, biscuits, side dishes, soups, stews and desserts. Peach recipes include desserts, muffins, jam, preserves & spiced peaches. Historical notes tell us that Daniel Boone would go miles out of his way to find ripe strawberries and that they were prized by many early Americans. The first Strawberry Festival, in Massachusetts in 1848, started a tradition which spread nationwide. 76 recipes include cakes & shortcakes, breads, pies, soups, salads, sauces, desserts, preserves, beverages and main dishes. This book describes the fascinating customs, etiquette and equipment used for teatime in the early 19th century. The 48 recipes for sandwich and savories; scones, biscuits and tea cakes; tarts and pastries; cakes; sweet-meats, curds and creams enable today's cook to re-create the wonderful tastes of the past. George Washington grew tomatoes at Mt. Vernon, according to historical notes, but most people thought they were poisonous well into the 19th century. Now fresh-picked tomatoes are an American favorite. 75 recipes include main dishes, juices, soups, salads, sauces, cakes, puddings and preserves. The book includes sections on canning and freezing and cooking with green tomatoes. Notes describe long ago methods of raising and preserving vegetables, but most of the recipes are quick and easy to prepare. 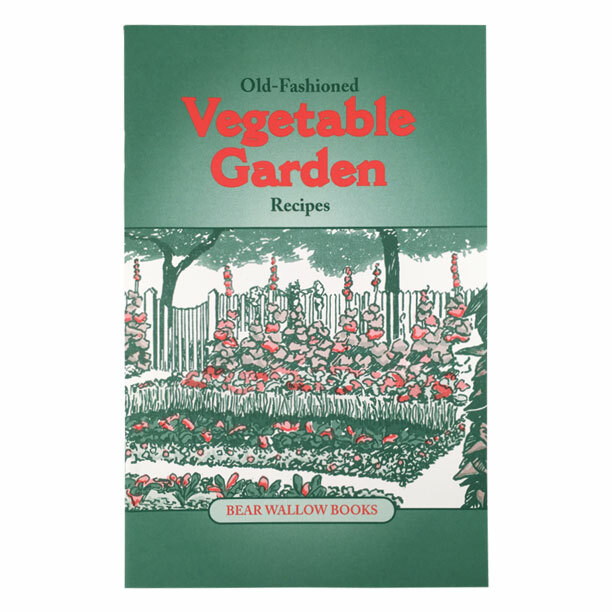 Beans, corn, rhubarb, spinach and tomatoes are just a few of the many garden vegetables in this new book, which contains 73 recipes for soups, salads, hot and cold main and/or side dishes, pickles, relishes and baked goods. Travel by wagon train was slow and difficult, but also an adventure. Historical descriptions of daily life accompany 68 recipes for 19th century foods, adapted for modern tests. 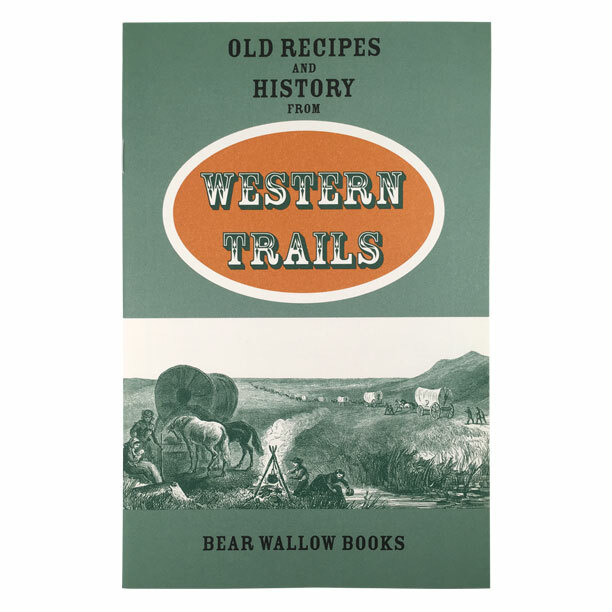 Sourdough breads, Chuck Wagon Beans, Buffalo Stew and Fried Apples are tasty reminders of the old west. Notes include historical descriptions and detailed instructions for cooking with woodstoves as our ancestors did, but the recipes also can be prepared on a modern stove. 58 stovetop and oven recipes range from pancakes to puddings, and include main dishes, side dishes, soups and stews, breads, sauces and desserts. Is zucchini American or Italian? Squash has been cultivated for more than 2,000 years! Historical notes explore the impact these vegetables have had on many cultures. Varieties of summer and winter squashes are described, and the books 63 recipes include breads, desserts, casseroles & baked dishes, soups, salads, skillet dishes and other treats.